Fig. 9. 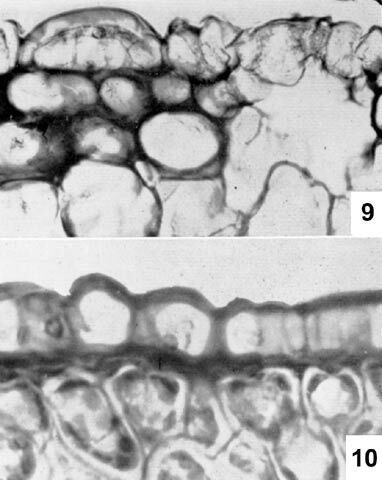 Outer cell layers of A. fissuratus x 500. Fig. 10. Outer cell layers of A. agavoides x 500.